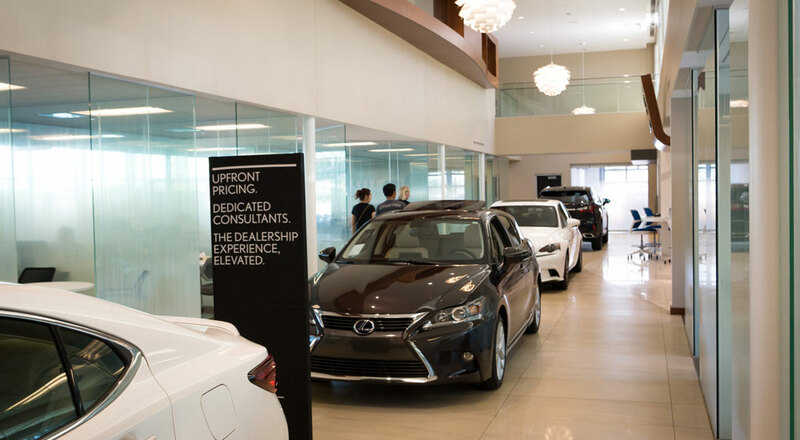 A new business model has arrived to select Lexus dealerships in the USA, and its goal is to make the vehicle purchase negotiations a thing of the past. Called Lexus Plus, this program sets a single price for all aspects of the dealership — new cars, used cars, all service, all accessories. It’s a dramatic shift in the way dealership sell cars, and it leads to plenty of questions and misconceptions. I visited Lexus of Omaha recently to see how it all works. The Internet has transformed car purchasing. Negotiations have always been the most contentious part of the vehicle buying service, but now consumers have access to every detail of every vehicle. It’s never been easier to find out the actual cost of a vehicle or how much other people are paying. Adding to the stress is the time it takes to purchase a vehicle — the buying process can sometimes take the better part of a day. Much of delay is being moved from the salesperson to the sales manager to the financing department and then back to the salesperson. Dedicated Consultants — The customer deals with a single salesperson from initial purchase to delivery, and will not be passed along from department to department. They will also a have a single point of contact during their service visits. 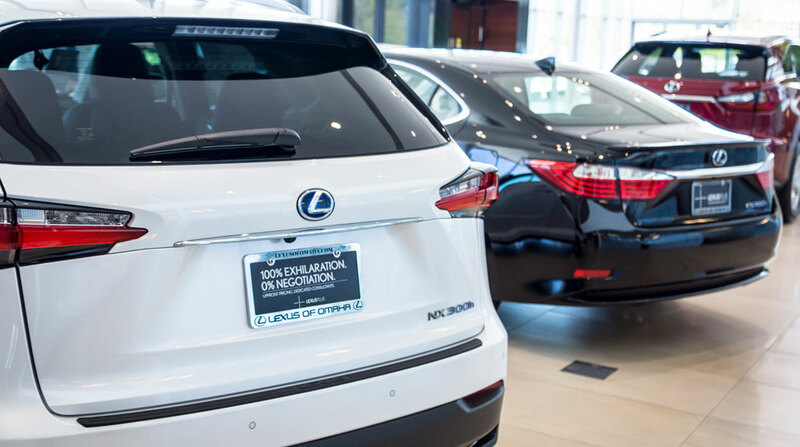 The first step is no different in the new system — either you arrive at the dealerships knowing the model you want, or you have a specific vehicle in mind that you’ve seen on the lot or the Lexus of Omaha website. If you’re still in the decision stage, a salesperson will walk you through the various options and help you with test drives until you come to a decision. Once the vehicle has been chosen, the same salesperson submits your application to the finance department for approval. 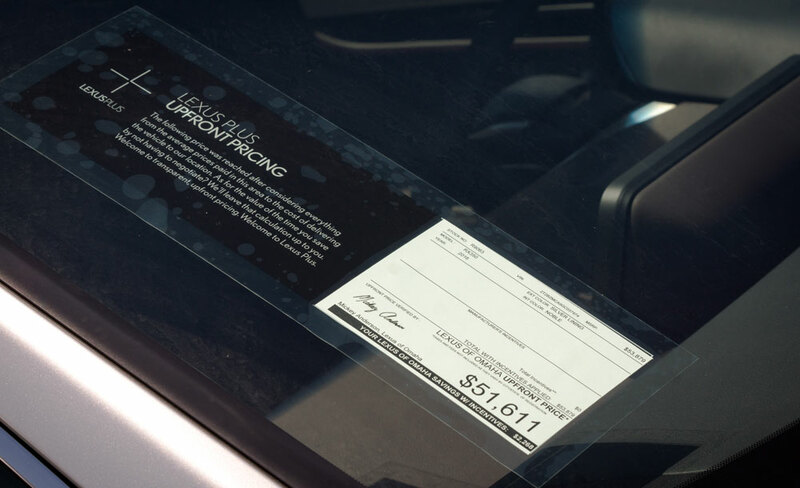 While waiting for word from the finance department, there’s time to discuss the usual vehicle upgrades — accessories like window tinting, new wheels, extended warranties, all of which have a specific pre-determined non-negotiable price. Minus test drives and consumer decision making, the time to purchase a new vehicle is now approximately two hours, down substantially from the previous four hour marathon session. As one sales associate told me, it used to take an hour just to get into the financing department. When it comes to price, there are two key insights that legitimized the whole experience to me — first of all, the Lexus Plus price is not the suggested retail price. Instead, the vehicle cost is determined using a combination of current national incentives and local variables like inventory, competitor pricing, recent demand, and even color popularity. The other insight is that the salespeople no longer work on commission, and are instead paid the same regardless of what vehicle is sold. This means no more redirecting to more expensive models unless it’s a better fit for the customer.